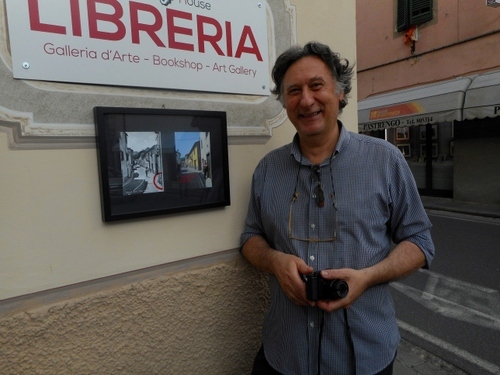 A fine photographic exhibition curated by Luca Lorenzetti opened last Sunday at Borgo a Mozzano’s library in the elegant Palazzo Santini. The exhibition focuses on manual occupations and at first sight the photos could be mistaken for belonging to another age. This perception is heightened by the fact that most of the photographs are in black-and-white. However, the pictures are of the present times and it is wonderful to see how many traditional crafts are still being carried out in our area. It’s the hands of people, whether they are harvesting barley, threading baskets, pounding pasta or arranging flowers, that grabs one’s attention. In a post-industrial society Italy is beginning to realise how important it is to preserve traditional crafts and to interest younger people in them before the knowledge vanishes. Already Italy’s youth, in desperation at the lack of jobs and the amount of land going uncultivated, have re-considered agriculture as a worth-while occupation. Moreover, smothered by imitative mass-produced products from other parts of the world, this country has refound what it’s best at: making some of the finest and most beautiful objects found anywhere in the world and, of course, producing some of the tastiest food and wine one is likely to ever come across. Mon-Thur 14.30 -18.30; Fri 9,30 -12,30, 14,30 -18,30; Sat 9.30 -12,30. Luigi Polito’s Butterflies are Back! 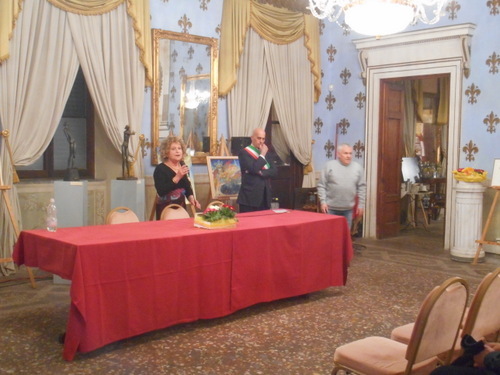 Luigi Polito s exhibition of beautiful photographs of butterflies associated with the Pisan Mountain is back again. 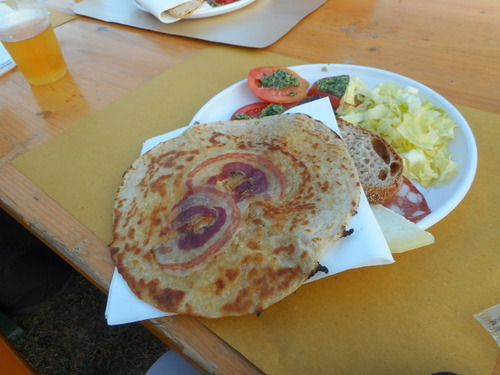 This time it’s on show in Ghivizzano. 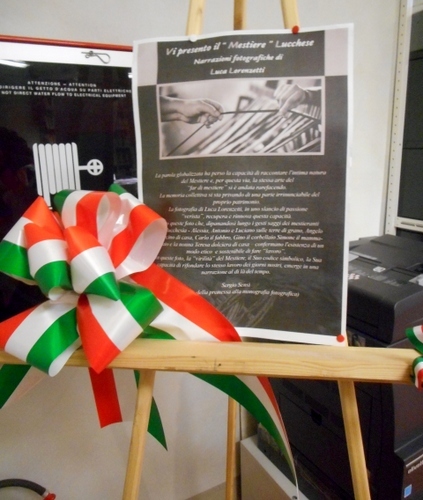 Attached to the art and framing firm ‘Ars Nova’ I’ve described at https://longoio2.wordpress.com/2016/05/12/new-art-at-ghivizzano/ is the new gallery inaugurated by Kety Bastiani where you may see the photographs. 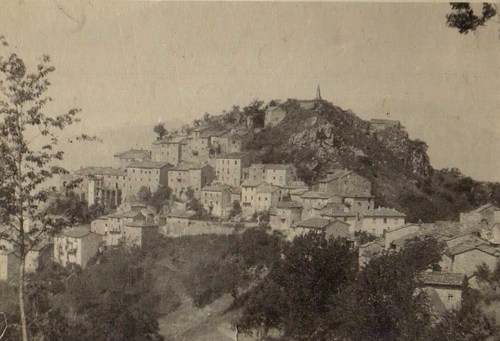 I’ve already described Polito’s work in my post at https://longoio2.wordpress.com/2016/06/02/pisan-butterflies/ but if you missed it when it was at the atrium of Bagni di Lucca’s town hall now’s your chance to see it. Should the exhibition room be closed just knock at the front entrance of ’Ars Nova’ during working hours and you will be let in. It’s a good idea to phone 0583 77012 beforehand too. The variety and number of butterflies in our Apennines and the Pisan Mountain is truly amazing including some varieties which are all but extinct in the UK; for example the high brown fritillary and the large blue. It’s sadto realise that over 76% of UK butterflies are declining due to unecological farming practices. Happily in our area of Italy they are still fluttering around as this delightful exhibition, photographed with real care shows. PS The following photographs are repertoire and not included in the exhibition. I’ve added them so that you too can be able to spot these rare species. PS Do hurry to see the exhibition as it closes on the 24th of this month! 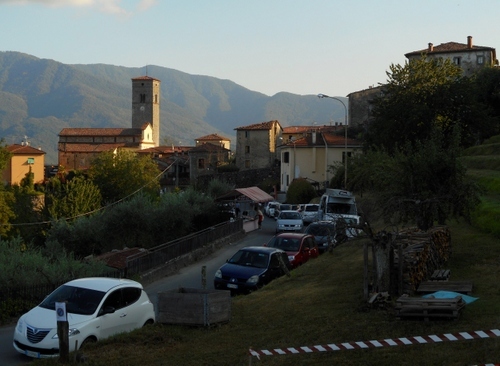 Despite the absence of a ‘Bagni di Lucca arts festival’ this year, the town is abounding with art and photographic exhibitions, no less than three having been inaugurated in the past few days. 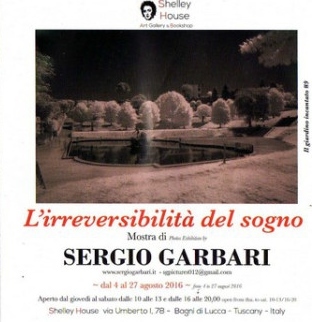 One of them is titled ‘L’irreversilibiltà del sogno’ (the irreversibility of the dream’ – i.e. the permanence of the moment of taking a photograph) and is a collection of photographs by Sergio Garbari at Shelley House. It opened on the 4th of August and runs until the 27th of the month. 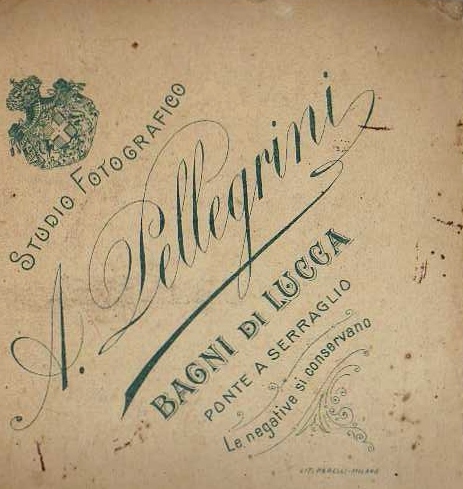 Born in Bagni di Lucca in 1955, Sergio was brought up in an ambience of film and photography thanks to his father who was chief projectionist at Florence’s Ariston cinema. (A sort of ‘Cinema Paradiso’ experience in fact!) 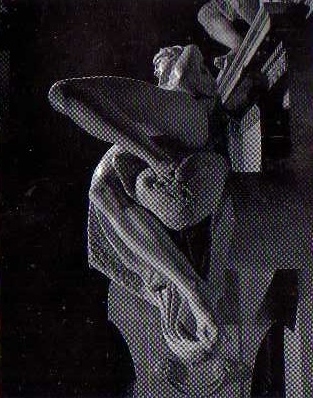 In 1976 Sergio became an architecture student at Florence University. Since 1981 he has been official photographer for the world-famous Uffizi art gallery in Florence where he supplies pictures for exhibition catalogues. In addition Sergio has extensively photographed the Medici villas and such iconic places as the Boboli gardens, the Medici chapel and the San Marco museum. At the same time Sergio has explored more experimental aspects of his art. 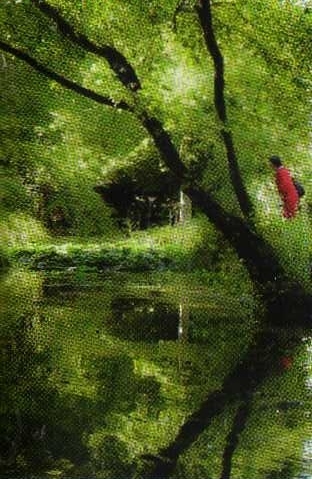 For example, he exhibited photographs of the ex-prison of Thessaloniki in Greece in 2008. I was particularly taken by Sergio Garbari’s use of infra-red photography which he explained to me was a somewhat difficult process as all light, including that emanating from the camera itself which had to be specially cushioned against any luminous infiltration. 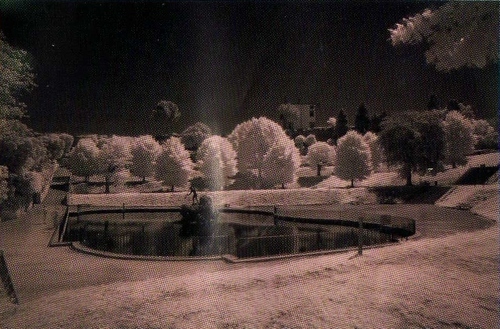 Here are some infra-red photographs of those celebrated Boboli gardens. Don’t miss this exhibition and certainly don’t miss the Shelley House book-shop and gallery on your next visit to Bagni di Lucca Villa. There’s an interesting duo of photographs on the exterior wall of Shelley House to the right of its entrance. Why are they of special interest? Do let me know. (Sorry no prizes given – there are enough free surprises anyway by visiting the great addition to Bagni’s cultural landscape that is called Shelley House. It doesn’t matter how many times one goes to Borgo a Mozzano’s annual Azalea festival for there’s always something new to delight and it’s not just the azaleas which, as ever, are artistically displayed througout the narrow main street with its ancient houses often reaching five stories in height. 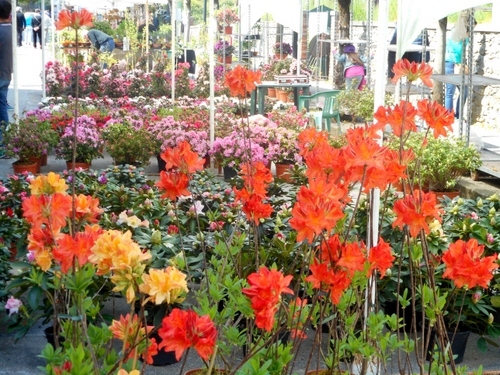 The displays are not only sponsored by flower nurseries but also by towns and communities wishing to advertise their attractions. 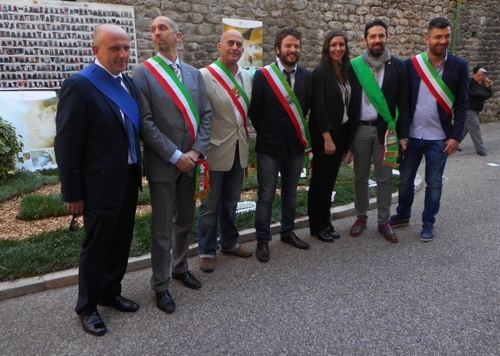 This year Bagni di Lucca was represented for the first time. Our Mayor Betti was not the only mayor pleased with the result organised by the indefatigable Valerio Ceccarelli of Bagni Pro Loco.The theme was water: the thermal water from Bagni’s hot springs and also the amazing white-water rafting of our river Lima. 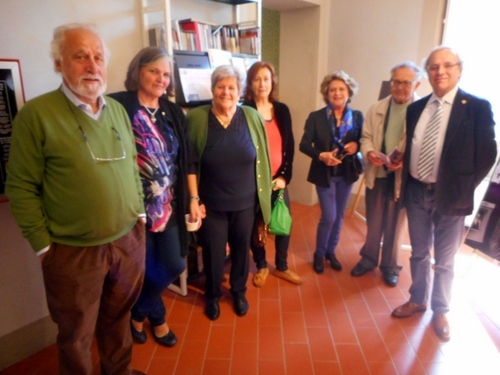 I spotted mayors from Borgo itself, of course, and other adjoining comuni too. There are also the stalls selling various crafts. I couldn’t resist this one and was happily persuaded by a friend accompanying me that I should buy it. It only cost a frippery of euros too. Amazing for something sculpted out of Tuscany’s famed pietra Serena. Chair art is truly imaginative here! The photographic displays were of the highest quality. I was stunned by these displays of flowers, and their sensuous associations, by an extremely talented group of photographers. 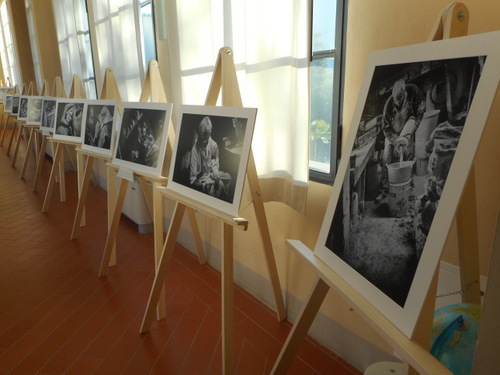 The display, which stemmed from a talk Gemma gave to Unitre, displayed women’s changing role in the work situation and included photographs taken from early last century to just thirty odd years ago, picture which form part of Lucca’s precious photographic archive. A picture is worth more than a thousand words: it’s worth a million. Look at these pre-washing-machine women doing their laundry in the Serchio River. 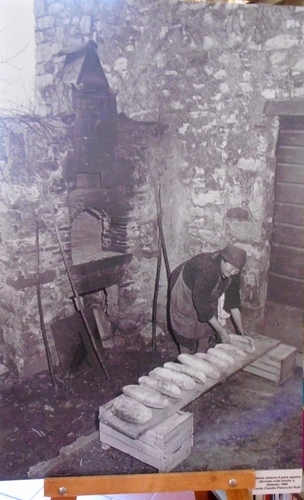 This one shows a lady baking bread in a local oven at Benabbio in 1980. In Longoio the bread oven continues to thrive and supply the local BDL shops. It’s a great place to warm up if one is coming back home late in winter on one’s scooter! Factory employment, especially in the textile sector, was a great point in helping women’s emancipation. At last women were able to start developing some economic independence. The Società Anonima FIFC (Fabbriche Italiane di Filati Cucirini), became Cucirini Cantoni Coats (CCC), when it was bought up by the Scottish Coats firm in 1904. That firm prided itself on improved care for its employees and I remember a now sadly deceased lady from Longoio, Stella, telling me how proud she’d been working for this British firm near Lucca! The following photograph is so poignant. 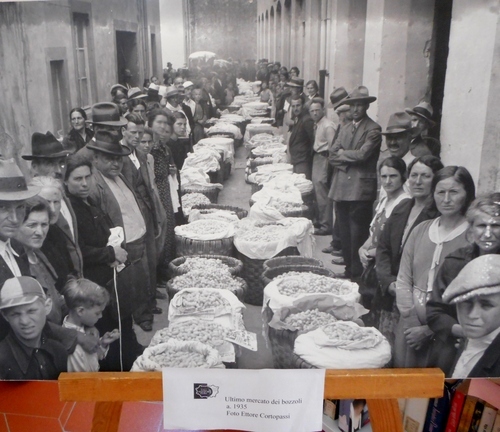 It shows the last silk-worm market in Lucca in 1935. The people are selling their silk-worm cocoons (bozzoli). Raising silkworms was a common part-time activity for many people in our area from the growth of the pupa to the chrysalis and the boiling of the cocoons killing the little worms before they could burrow their way through and destroy the precious silk thread. It’s worth going to the azalea festival just to see this fascinating exhibition. is thriving and providing new employment for a country which has suffered so much. Last but not least, one of the pleasures of going to the Azalea festival is that one bumps into friends and acquaintances without any need to make appointments beforehand. Azalea birds of a feather obviously flock together! 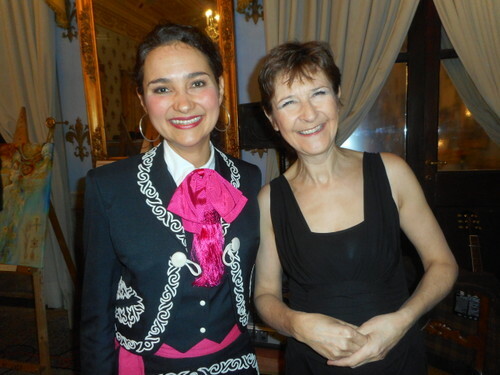 Don’t’ miss today’s last day of the festival, especially the concert at 4 pm in the courtyard of the Santini palace which has been organised by artist Simonetta Cassai and her team from the local Salotti music school.